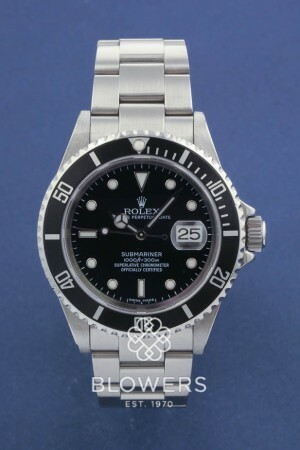 Rolex Oyster Perpetual Submariner Date 16610. 40mm Stell case which is water resistant to 300 metres. Automatic chronometer movement. Black dial with luminous hour markers, black Uni-directional bezel. Steel Oyster lock bracelet. Box and papers dated June 2007. Rolex service papers dated April 2018. SKU: 3108879. Categories: Gents, Rolex, Submariner.